“LE” the owner and founder has passion for cooking. The restaurant is not just open for business or for the sole aim of making profits; “LE” has passion for what he does and enjoys every single second spend in cooking. Here at LePho restaurant, we pride ourselves on our experience. Perfection is our watch word. We bring to our customers authentic and new fusion Asian and Vietnamese cuisine. LePho is an Asian standard restaurant that offers mouth watering Vietnamese cuisines; from rice plates to pho noodle soup, the diner has a vast variety of dishes that showcases most of the beverages and foods of Vietnam. Made from hours of cooking process of beef bones alongside pho spice; our broth will leave you; definitely with an empty bowl and a happy tummy. At LePho, our food items are grilled alongside fresh vegetables on the sides, providing healthier delicacies and are prepared swiftly in a perfectly hygienic atmosphere for our customers’ convenience. Don’t stress it; LePho has you covered. From the point of preparing your meals to the point of serving, we have the fastest and professional hands on deck to make certain that you are properly attended to and all your needs met. Believe me when I say you can even sleep in our kitchen. Our kitchen is very hygienic and the atmosphere of the restaurant is. YOU SHOULD COME SEE THINGS FOR YOURSELF. NOT A GIMMICK. As a Vietnamese restaurant, every dish in LePho diner has a distinctive flavor showing one or more of the different fundamental taste elements; their common ingredients are fish sauce, fruits, vegetables, soy sauce and fresh herbs. Pick from more than 10 freshly made pho noodle soups; as well as other Vietnamese meals such as spicy salads, wok-fried noodles and fragrant curries. 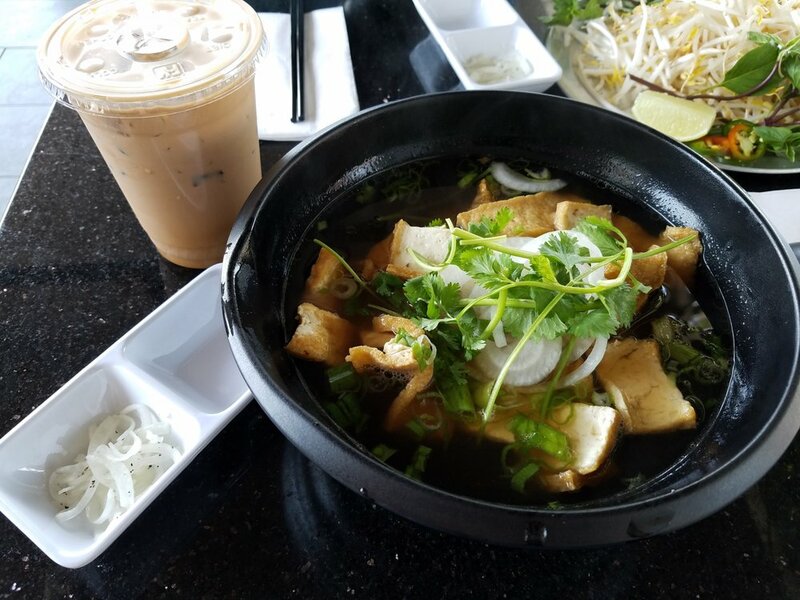 LePho Restaurant will enlighten your taste buds certainly; so, come by soon and see us; Le’s “Pho To Go” menu is available 24/7 to order at the counter! At LePho, our philosophy is simple. We strive to give everyone the best quality and healthy food, not only in Pho but other kind of food. We strive on a regular basis to put smile on the faces of our esteemed customers with best services. Here, we are committed to using the freshest and most authentic ingredients known, resulting in lively, smooth and “flavorful” food. We go all the way in; beyond just a passion for authentic Vietnamese meals, our staff work straight from their hearts to see that you enjoy every moment you spend with us. AUTHENTIC CUISINE AND FRIENDLY STAFF.